About Arbet – ARBET sp. z o.o. 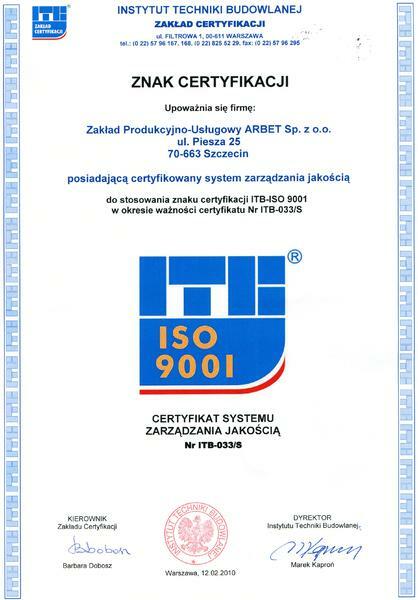 ARBET company Ltd. emerged in 1991 year. 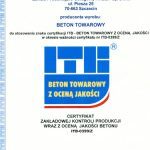 We act for 15 lat on western -pomeranian construction market. 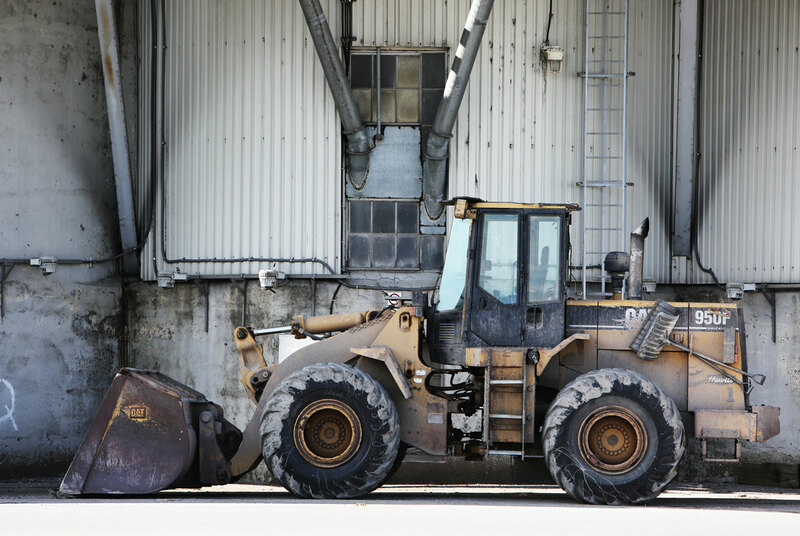 The company started with production of concrete and with growth extend its activity with aggregates and construction materials trade, sale and installment of concrete production knots, estate investments. From year to year we boost range of our investment and activities. 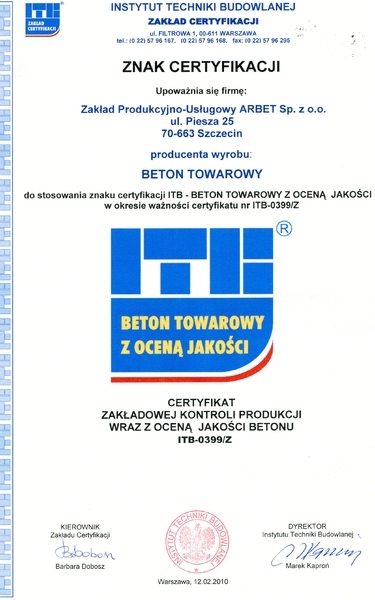 We own advanced transport base, which enables fast supplies in the area of western pomerania. 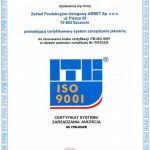 Our company obtained ISO 9001 and the FPC with the support of the Regional Operational Programme Office of the Marshal of the West Pomeranian.